I'm so excited (and at the same time humbled) to be taking part in this very special blog hop as one of the Top Ten winners from last month's Get Well themed International Project Highlights run by Kylie Bertucci. 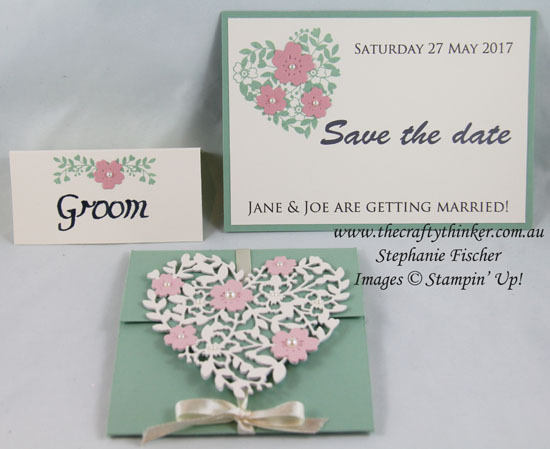 The theme for this blog hop is also Wedding. 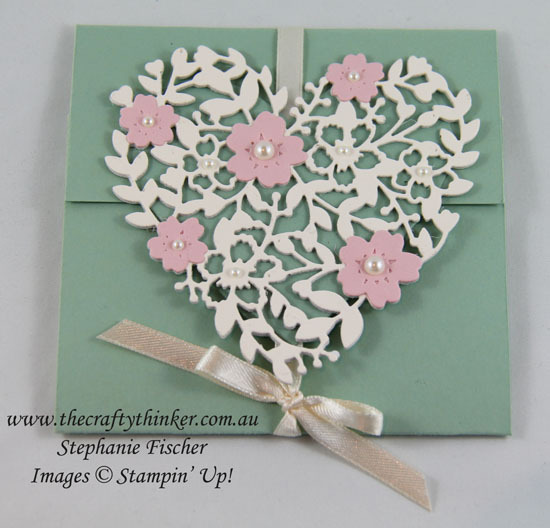 I would like to just say a big "thank you" to everybody who voted for my card, thereby providing me with this wonderful opportunity to be part of a blog hop with some of my stamping heroes! You may just be starting the blog hop here at my blog, Stephanie Fischer, or you may have come from the person before me in the list. If you get off track at any time, the full lineup below will help you to move along from blog to blog so that you see all of the projects. 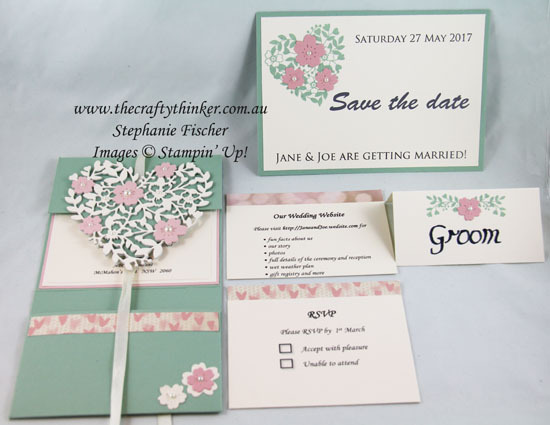 I thought I'd have a go at producing a wedding invitation with matching Save the Date and Place Names for the marriage of the legendary Jane Doe to Joe Blogs! I used the retiring colour Mint Macaron, mainly because I have plenty of it! I teamed it with Very Vanilla and Blushing Bride (an appropriate colour, I thought) for a soft and pretty bridal combination. 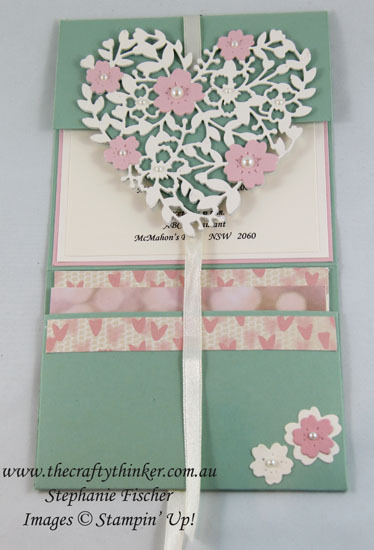 The stars of the entire show are the Bloomin' Heart thinlits and matching Bloomin' Love stamp set. The little pouch at the bottom of the invitation holds two cards: one for the RSVP and one giving details of the couple's wedding website. I added a few decorations to that section although I had toyed with the idea of placing a map there. For someone who, from 9 years old, was forced to write all their homework and also weekly letters home in Italic, my calligraphy is surprisingly poor!